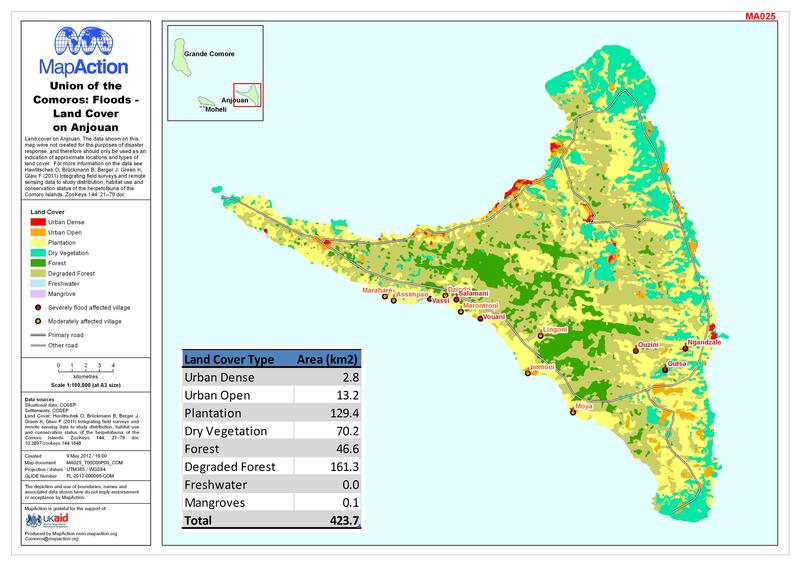 Land cover on Anjouan. Showing affected villages. The data shown on this map were not created for the purposes of disaster response, and therefore should only be used as an indication of approximate locations and types of land cover. For more information on the data see Hawlitschek O, BrÃ¼ckmann B, Berger J, Green K, Glaw F (2011) Integrating field surveys and remote sensing data to study distribution, habitat use and conservation status of the herpetofauna of the Comoro Islands.